Offer condition: - Standard terms and conditions apply - Promotional code valid with a minimum spend of £40 excluding any delivery and payment charges. - Promotional code must be entered at time of purchase and cannot be used in conjunction with any other offer. 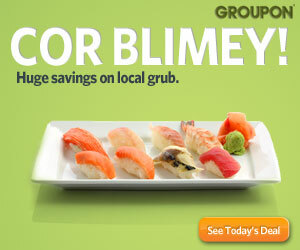 - Offer excludes gift card and Delivery Pass purchases. Do not miss another Interflora voucher! 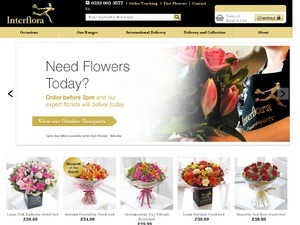 Simply leave your e-mail address and we'll always keep you informed of new vouchers for Interflora. Offer condition: £5 off all products in the Grandparents’ Day range offer available for orders placed between Tuesday 19th September – midnight Sunday 24th September 2017. Offer condition: Minimum product value of £42.99 applies . Offer excludes overseas, giftcard and Interflora Gold purchases. Offer condition: Minimum product value of £24.99 applies. Offer excludes overseas, giftcard, delivery and Interflora Gold purchases. Offer condition: Minimum product value of £39.99 applies, offer excludes overseas, giftcard, delivery costs and Interflora Gold purchases.